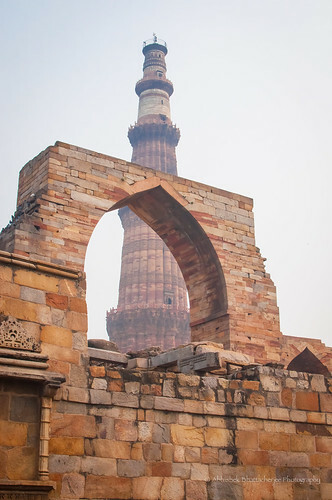 Qutab Minar is one of the most recognizable medieval structures in the city of Delhi. 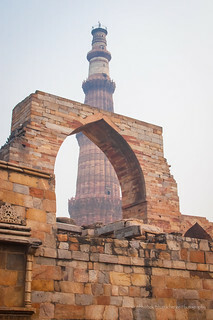 The tall minaret was constructed in 1192 by Qutab-ud-din Aibak, and later completed by his successor Iltutmish. The soaring conical tower is an exquisite example of Indo-Islamic Afghan architecture.